Then he meets Max, a thirteen-year-old American boy from Washington, D.C. Lonely and homesick, Max is struggling at his new school and just can’t seem to do anything right. 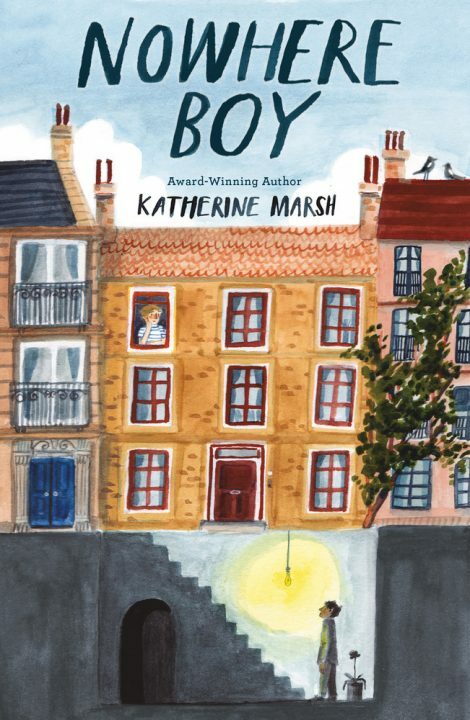 Set against the backdrop of the Syrian refugee crisis, award-winning author of Jepp, Who Defied the Stars Katherine Marsh delivers a gripping, heartwarming story of resilience, friendship and everyday heroes. 1. Talk about how Max changes in the novel. What is he like at the beginning? What does he consider to be the problems in his life then? How does knowing and helping Ahmed change Max? 2. Ahmed also changes. What are some of the factors that change him? Who helps him and who makes his life more difficult? When Ahmed calls Max a “boy hero,” Max replies, “No, just a sidekick to one” (p. 274). Why does Ahmed call Max a hero? What makes Ahmed a hero in Max’s eyes? 3. Max worries about the fact that he’s lying to his parents in order to help Ahmed. He views his actions as betraying his parents but also as “wrong and right at the same time” (p. 222). What does he mean? What are some of the lies? Explain whether you think they are justified, and why or why not. Discuss whether it’s possible to do something you consider wrong for the right reasons. 4. The chapters alternate between Max and Ahmed. What’s the effect of alternating between the two? Why do you think the author chose to use third-person points of view instead of first person? How would the story have been different if only one of the boys narrated it? 5. After he learns about Ahmed’s situation, Max sees the following about himself: “He had always taken school for granted. Now he realized that even being able to hate it was a luxury” (p. 152). How does knowing Ahmed change Max’s viewpoint? What is Ahmed’s attitude toward school before he goes and after he starts? What would your life be like now and in the future if you no longer had access to school? 6. How are the orchids and the backyard garden important to Ahmed? What role do they play in the plot? How are they used symbolically in the story? 7. Recount the story of Albert Jonnart and Ralph Mayer. How does the story influence Max? How does it help Ahmed, especially at the end of the novel? Discuss similarities and differences between Jonnart’s actions and Max’s. 8. Discuss how Max’s family members interact with each other, giving positive and negative examples. Why does Max feel like Claire betrays him and Ahmed? Do you agree that it’s betrayal? What explains her actions? How do Max’s parents react to his trip to Hungary? How do you think the dynamics of this family might change in the future? 9. What are some words that describe Oscar when Max first meets him? Why is he so unfriendly to Max? How does he start acting differently toward Max? Why does he change? Describe ways that Oscar helps Max and Ahmed. 10. How does Farah treat Max when he’s new at school? 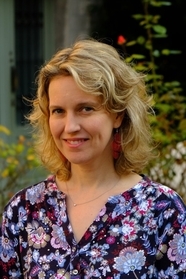 Why does she decide to help Max and Ahmed? What does she do for them, and what are the risks for her? Talk about some of the problems that Farah has to cope with in her life. What does Max learn from her? 11. Find comments from Madame Pauline and Inspector Fontaine that show how they view the refugees in Belgium. Why is their attitude so hostile? Discuss Ahmed’s observations that many of the refugees are escaping terrorist wars and that, although perhaps one in a million refugees is a terrorist, some people consider them all dangerous. 12. Find an image of the Magritte painting with the birdcage. What are the boys’ responses to the painting? What is your response? Locate images of other Magritte paintings and talk about his artwork, including any way you think it relates to the story. They had purposely waited for a cloudy, moonless July night. It was less likely, the smugglers had said, that the Greek Coast Guard would spot them. But now their invisibility was a problem. The top of the inflatable rubber dinghy bobbed barely ten centimeters above the Aegean, several centimeters lower than when they had started. There was no land in sight. The captain struggled to restart the motor while the silhouettes of eighteen men, three women and four children huddled together. Some had ill-fitting life jackets; only a few knew how to swim. “If the motor doesn’t start, we will drown,” one of the women said, her thin voice rising in panic. Ahmed Nasser hugged his life jacket against himself. It was too small for a boy of fourteen, especially one nearly as tall as his father. He remembered the stories he had heard in Turkey of smugglers selling defective life jackets that made people sink instead of float. Ahmed looked at his father, his large frame crammed against the side of the boat. A black inner tube was slung over his shoulder and he smiled calmly, as if he knew they’d be okay. But the smell of bodies, unwashed and sweating, the terrified gazes, the sickly toss of the sea, told Ahmed otherwise. His voice was commanding yet gentle, as if he were soothing a child. But Ahmed was old enough to know the powerlessness that lay behind it. He thought about his mother, his sisters, his grandfather—would his death be worse than theirs had been? His father had assured him theirs had been painless. Surely theirs had been quicker than this. There had been no time for false words of comfort. Less than ten kilometers separated the coast of Turkey from the Greek island of Lesbos. Ahmed tried to make out lights from land or even from another boat, but he could spot nothing. Where was Europe? Where was the rest of the world? There wasn’t even a star to promise a better elsewhere existed. The sky was as dark as the water below it. He could barely see the face of the stainless-steel watch his father had worn until earlier tonight, when he’d fastened it around Ahmed’s wrist. It had been Ahmed’s great-grandfather’s Omega Seamaster, a name that seemed ironic now. “Baba, you know I can’t swim,” Ahmed whispered. “You won’t have to,” his father said. But water was soaking Ahmed’s sneakers. He could feel it rolling back and forth across the bottom of the boat. People tossed bags into the sea, trying to lighten the load. Ahmed watched the bags bob, then float away or sink. A few people tried to bail the water out with plastic bottles, but it hardly seemed to make a difference. The woman in front of them started crying. For the first time, Ahmed noticed she was holding a baby in a sling. But this only seemed to make the woman cry harder. “Allahu Akbar,” several people prayed. Ahmed noticed him glance at the woman and her baby, then at the rest of the desperate, frightened strangers in the overcrowded boat. Baba pulled the inner tube off his shoulder and slipped it over Ahmed’s head and around his torso. Then he leaned over and whispered in his ear. But his father had already turned away. Ahmed tried to reach for him, only to realize that his arms were pinned to his sides by the inner tube. By the time he’d freed them, his father’s leg was already over the side of the boat. Ahmed lurched forward to grab him, but it was too late. His father slid into the dark water like an eel. A moment later he reappeared, treading water. “What are you doing?” Ahmed shouted after him. They were from a medley of places—Syria, Afghanistan, Iraq—but Ahmed realized from the helpless way they looked at one another that they had one thing in common: none of them could swim. Ahmed turned around. A slight, wiry man took off his jacket, then his shirt. He handed them to the woman beside him, who folded them neatly, as if to make a point that she expected him back. A little girl sat between them, half swallowed by her life jacket. “I can, too,” said the captain. He looked ashamed about the motor, but Ahmed felt it wasn’t his fault. He wasn’t even really a captain. He was just an engineering student from Homs whom the smugglers had chosen from among the refugees to pilot the boat. This thankless duty had earned him an oblong orange buoy. He tossed it into the sea, then dove after it. Ahmed tried to give his father back the inner tube, but he refused to take it, claiming it would slow him down. The men swam to the front of the boat and, as a passenger shined a flashlight across the dark water, they looped the boat’s towrope around the buoy, conferring in tones too hushed for Ahmed to hear. Then each grabbed onto the rope with one hand, kicking with their feet and paddling with their free arm. Ahmed’s father swam in front, the two men behind him. The boat jerked forward, as if a giant hand had given it a shove. Cheers and shouts of “Praise be to God!” rose up from the passengers. Those in the center of the boat scooped water from the bottom into bottles and passed them to those on the edge to pour out. As he emptied bottles, Ahmed felt his fear ebb, replaced by pride that it was his father leading the swimmers. It reminded him of long-ago weekends before the war, when his family had barbecued and picnicked with friends outside of Aleppo. Late at night, his father would lead the dabke, whirling the line of dancers as they held hands and stamped their feet to drum and tambourine. Ahmed would stare up at the star-filled sky and let himself be dragged along wildly, knowing Baba was in charge. But a half hour later, he was jolted from his memories as the wind picked up and choppy waves rocked the dinghy. Occasionally they spilled over the sagging sides, and Ahmed could hear the water slosh in the bottom. He looked anxiously out into the beam of light that illuminated his father and the other swimmers. Whitecaps broke over their heads, slowing their pace, but their free arms continued to pinwheel around. A hard summer rain began to fall. Within minutes, Ahmed was drenched. He told himself that rain this heavy never lasted long, but it stirred up the sea even more. The swimmers pulled the dinghy straight into the waves. It pitched and bucked, pulling the swimmers’ rope taut, but it stayed afloat. Then came the sideways wave. Ahmed didn’t see it, but he felt it. It tipped the dinghy to one side and seemed to hold it there, as if considering the worth of those inside. Ahmed sucked in air, expecting to be flipped. But the wave let the dinghy slide down its side and instead swept over the swimmers so that they vanished completely. Then it ripped the buoy off the rope and tossed it into the darkness. There was a second of silent shock before everyone started shouting, shining their phones’ flashlights across the water. The captain sputtered to the surface. The Iraqi popped up next with a gasp, his hand still clutching the rope. Far in the distance, through the driving rain, Ahmed thought he saw his father’s head bob to the surface. But there was no response, and when he looked again, all he could see were the endless whitecap waves.